Butler Wobble: Less Than a Week Away. NAUCC 2013 is coming soon. Really soon. Even the roads agree. We had nothing to do with this pic. 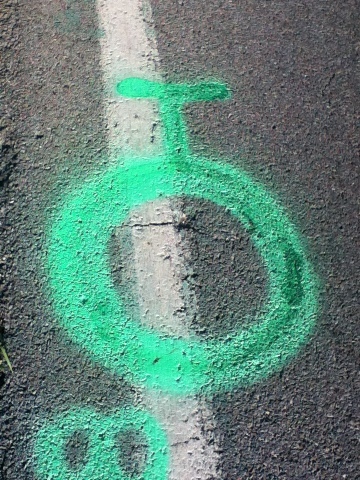 This is an actual utility marking on Sunset Drive. No joke. The fun starts Sunday the 21st and goes through Saturday the 27th. 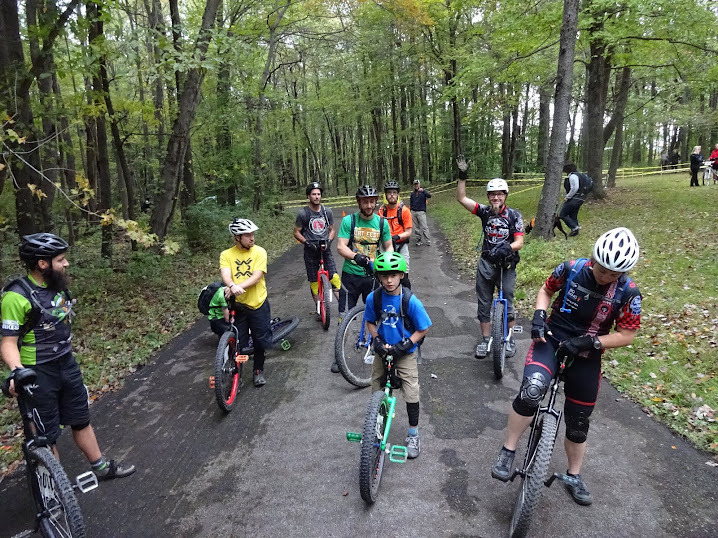 Even if you don't ride a unicycle, you should show up to watch. Check the schedule for dates and times. Some really spectator friendly events are in the evenings. After all, it's FREE to watch. Where else are you going to see World Champions perform for FREE!